I don't really do art. But the theory is that one day, if I practice enough, I'll be able to draw some beautiful comics. 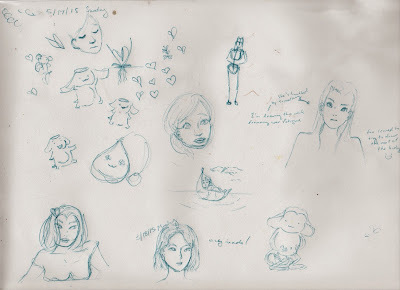 So what I REALLY do is doodle, um, very sporadically. It'll get me there one day, right? In hopes of motivating myself a little more, I figure I can update this thread every once in a while when I draw. Also I'm just procrastinating right now on my thesis.